A Warming Bering Sea: What Does It Mean for Walleye Pollock? 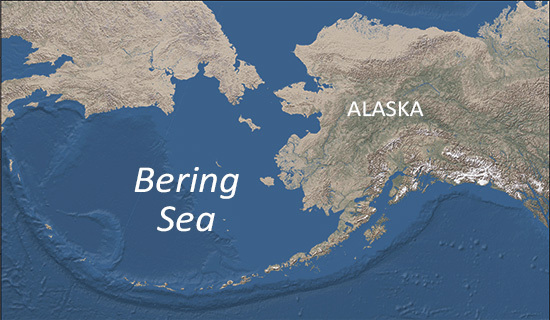 The southeastern Bering Sea is an enormously productive ecosystem. It produces over 40% of the nation’s total annual fish catch. The pollock fishery operates here -- one of the nation’s most important commercial fisheries in both annual yield and value. It is also home to an exuberant diversity of wildlife, from seabirds to seals to whales. However, as the climate changes, the species here, and the people who rely on them, will have to adapt. Funding for this project is provided by programs within the NOAA Fisheries’ Office of Science and Technology (NOAA’s Fisheries and the Environment (FATE), Stock Assessment Analytical Methods (SAAM) and Climate Regimes & Ecosystem Productivity (CREP)). In-kind resources are being provided by the Alaska Fisheries Science Center and the Pacific Marine Environmental Laboratory.